Product categories of Wood Chopping Board, we are specialized manufacturers from China, Wood Chopping Board, Food Grade Wooden Chopping Boards suppliers/factory, wholesale high-quality products of Cutting Wood Chopping Board R & D and manufacturing, we have the perfect after-sales service and technical support. Look forward to your cooperation! We are not only producing Bamboo chopping board ,but also producing Wood Chopping Board. We have various of Food Grade Wooden Chopping boards for your choose such as Rubber wood cutting board , Beech wood cutting board , Solid walnut wood cutting board,acacia wooden chopping cutting board, Oak wood cutting board , Natural Wood Chopping Board and so on . Wood vegetable board is natural, non-toxic, harmless and it the most environmentally healthy products. 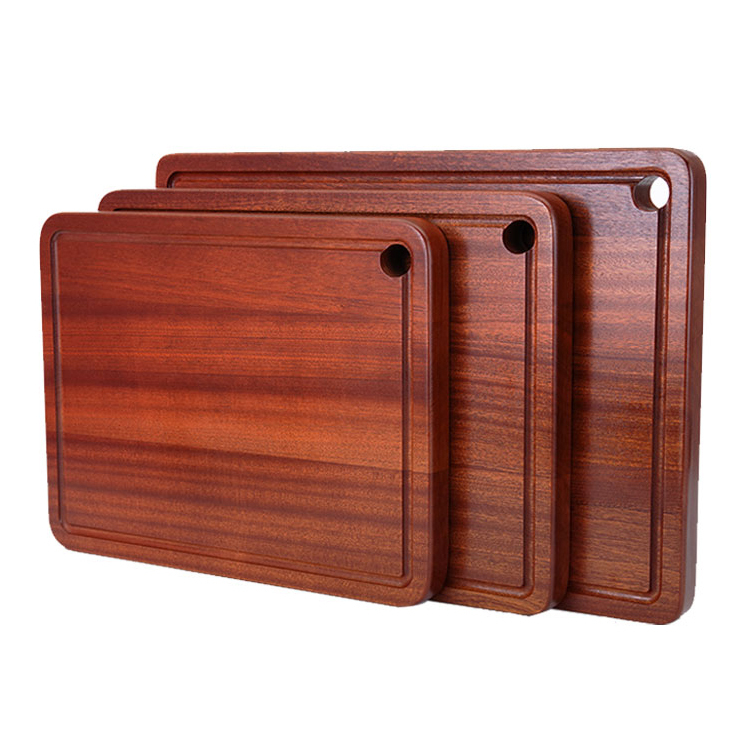 Wooden chopping boards is used not only for families, but also for western restaurants. In a western restaurant, chefs like to put steak on a wooden chopping board as a decoration,surrounded by some fruit and salt and pepper.This kind of display will make you enjoy dinner.